Dylan thought he was an average man with a dead-end job and no great aspirations. When he finds a black book lying innocently on his lawn with peculiar words and markings, he discovers the universe is bigger than he imagined. The guardian of Earth, who kept the book and its immense power safe from falling into the wrong hands, was killed. Now Earth needs a new guardian. 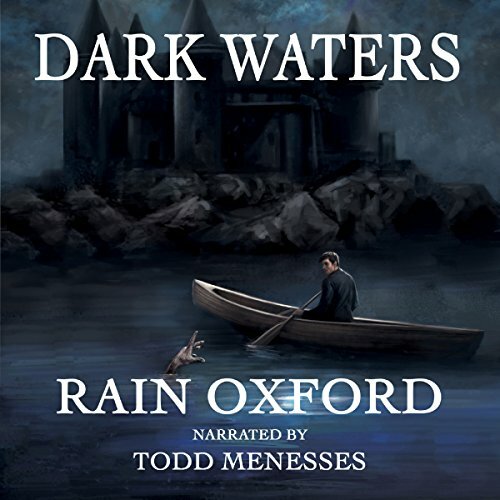 This is my second Rain Oxford audiobook, also narrated by Todd Menesses, and I enjoyed this one even MORE than the first! The writing is so clever and Todd Menesses does an amazing job bringing Rain's imagination to life! I thoroughly enjoyed every minute. 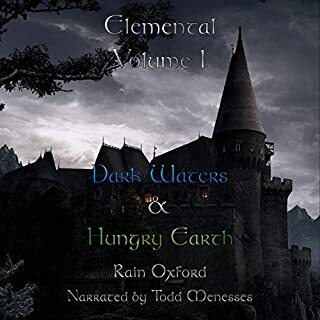 I've been taking a chance on more fantasy and paranormal type audiobooks and, so far, Rain Oxford is definitely my favorite. Dark Waters tells the story of a detective who finds himself caught up in a world he really has no interest in, but discovers he thrives in quite well. I was an avid True Blood watcher and it was fun listening to descriptions of shape shifters and Fairies and vampires and such. Don't get me wrong, this has nothing to do with True Blood, but if you enjoyed that, you'll DEFINITELY love Dark Waters. Lots of good stuff about magic. The writing is so vividly descriptive and the pacing is phenomenal. It made me wish I'd been listening to audiobooks for much longer than I have!!! Great job, Rain! This is definitely film quality work. Very well done. This is the first time I've ever read anything by this author, and I am very impressed! Her storytelling lies somewhere between Harry Potter and the Dresden Files. Since I just finished Dresden, I was looking for something similar to share on long car rides with my son. We are both looking forward to delving deeper into this series. The voice actor has a deep, basso, voiceover-type voice that adds a level of drama, and sometimes snark, that can only add to the story. I was gifted this book, by the author, in a Facebook group, and was not required to review. I was just so lucky to get a chance to "discover" this author, and I want everyone to know. 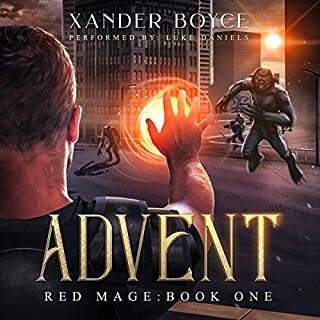 A brief synopsis: Devon is a private investigator who unintentionally gets drafted to solve a case at a school for magic, thereby discovering he has a "bit" of magic himself. I am looking forward to more in this series! really like the book. took me a few chapters to get used to narrator voice /Todd Menesses/, deep voice and overly dramatic, but guy is brilliant doing at least 5 different voices through the book. Very interesting story. very happy with the purchase. Devon is a PI and he hates vampires. He had a vampire friend when he was young. It just didn't work out. That left him with a bad taste for the paranormal, and the hatred for vampires. Devon only works human cases and is really good at his job. Knowing that, you can imagine his uneasiness when his job lands him in the "magic" college, pretending to be a magician! 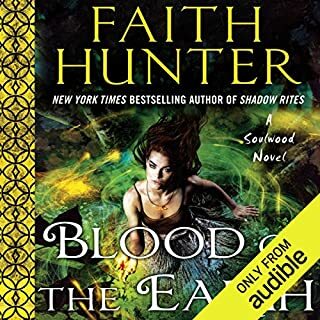 I was sure I would enjoy this book, but didn't think I would like it as much as I do.The big problem, however, is that Audible doesn't have all the books in this series. The story line is engaging. I would like to have been able to read it all at once, but, alas. My favorite characters are his roommates and the cat, someone's familiar. The cat is fug ugly and PO'd looking, even in his sleep!! He helps Devon quite a bit. I enjoyed the story, and fantasy world it brought me into. The narration was excellent. Kind of an adult version of Harry Potter. It's sort of a cross between Hogwarts and Harry Dresden. I hated when the distractions of life forced me to stop reading. I can't wait to read the next in the series. Another thing that I appreciated was that it was cleaner than some other similar books. That can be hard to find. The narrator did a great job. I could tell all of the characters apart easily. I loved the Guardian books and I love that this is much darker. It's definitely for an older audience, but with the same descriptive writing style. There's death without it being too gory, romance without being chick-lit and adult language without being vulgar. It has a lot of suspense, magic and action. Which character – as performed by Todd Menesses – was your favorite? Devon is my favorite because he's smart and sarcastic. Darwin is a close second because he's adorable and his accent is cool. I read the books in this series so I know the characters get fleshed out. I didn't like Henry in this one and I really thought he was going to turn out differently, but now I think he's awesome. A fast paced suspenseful paranormal mystery. Well written and narrated. It wasn't a very long book, but I can't think of anything to add. Great pacing. I can't wait to listen to the next one. I wasn't sure I was going to like the book at first, it took me a bit to get over the voice of the narrator. once I but the voice together with the story it fit perfectly. I really enjoyed it, it honestly reminded me of the Harry Potter story line with magic and weird creatures. I'm excited to read book two. Can We Handle Another Magic University? 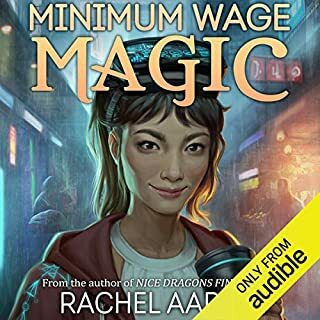 After reading everything Jim Butcher wrote (especially the Dresden series) and all the contemporary magical school fantasies out there (including Lev Grossman's "The Magicians: A Novel" on Audible--I gave it 4 stars), the last thing I thought I needed was another novel about a misfit PI discovering his magical talents. "Dark Waters" was a very pleasant surprise! 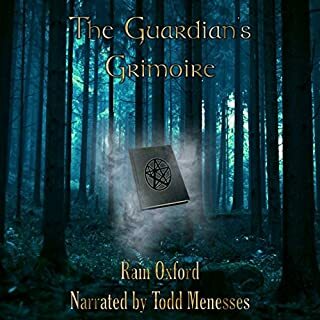 Todd Menesses' deep, sardonic narration gave the work a twist that made the Audible version better than the printed word. The most ordinary statements echoed with subterranean meaning. The detective plot was a clever framework for all the interesting character development. PI Devon Sanders discovers in his early 30's that he is actually capable of magic...that his best friend in childhood was actually an abused child vampire...and that there is an entire reality he never knew which will reshape his identity, definitions of loyalty and friendship, and make him more powerful than he ever wanted to be. Sharing his growing awareness chapter by chapter is an oddly compelling experience, even once you guess where the plot is heading. I particularly enjoyed Devon's continual questioning of the morality of magic--when is it not abusive to use power over others? 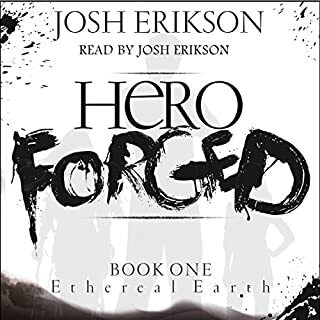 The second book in the series, "Hungry Earth," is not as tightly focused or surprising as "Dark Waters," but I was curious about the characters so read it anyways. I believe the two novels would have been outstanding as a single work extending "Dark Waters" instead of going for the endless serialization of everything. That said, I truly enjoyed my time with Devon and his new friends--well worth a credit. I give Dark Waters a 10 I love the plot and the characters and the narration is enjoyable. I really enjoy stories you can listen to while your driving and think about the story instead of what impending doom your driving to (ie work) I get rather addicted to authors and start to binge listen to all their books. I have already listened to The Guardian's Grimoire book one and that was amazing, same narrator also. I could tell it was the same narrator when he was doing some of the voices hehe. I also love paranormal books and this one dipped into all sorts of paranormal areas. There are a handful of characters I liked, I really enjoyed all the shape shifters. I felt bad for Astride and her story. I like the throw back, Darwin, his accent was very well done also and he makes me laugh every time he opens his mouth LOL. I was especially paying attention to the scenes when a body is found and it looks to be a death by vampire. Then all of a sudden you turn around or leave and come back and everything is gone like it never happened. You start wondering if you imagined what you saw. No I didn't listen to it all in one sitting. I will listen driving to work or before bed. It's a great story I'm not sure I could listen for 8 strait hours though. Really Good book. I didnt want it to stop or end. Really good book, I didnt want it to end. The story was interesting and imaginative. The only draw back i found was the narrator, he put so much drama at the end of EVERY sentence. Loved it! Lots of action, funny, and well-written. I can't wait for the next one! I found the start a bit slow but I am glad I persevered with the story. Possibly though a one time listen.